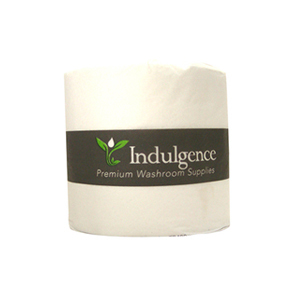 Our stainless steel hand towel dispenser suits ultraslim & slimfold paper towels. Sophisticated & contemporary appearance. Sturdy construction guarantees longevity. Mounting plate & screws are included for installation. 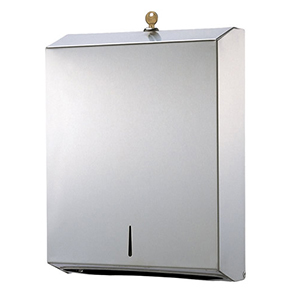 Our stainless steel hand towel dispenser has a sturdy construction that’s built to last. Its sophisticated & contemporary appearance will lift the profile of any washroom. 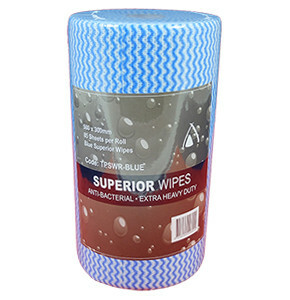 Suits ultraslim & slimfold paper towels (sold separately). Features include a slimline design to save space, & a sight window to detect when towels are running low. 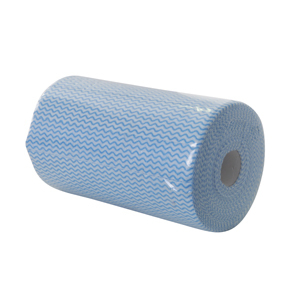 Key-lockable to prevent pilferage, & easy-to-remove casing makes re-loading more efficient. 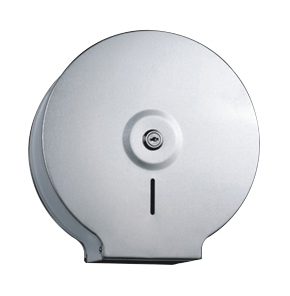 This hand towel dispenser comes complete with mounting plate & screws for installation.